Went to Brickfield to meet Sujata with the ride by Visant. A bit paiseh actually, always required Visant to give me a ride to Brickfield. Reached there around 6pm, met Sujata and we later stopped at Palm Court Condominium. 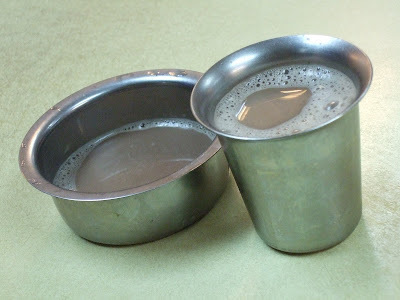 Below is what Sujata ordered, Milo Tarik! This is certainly something new to me. Below are the photos I took that day. Photo speaks a thousand word. Enjoy the photos. Milo tarik? Why the colour like this one? Taste nice? Very special I guess.